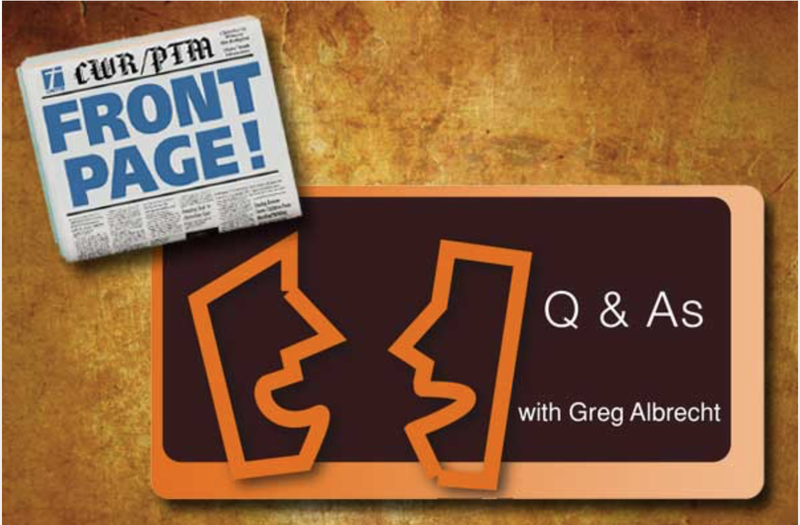 Q: While attending a Bible study one night in a church I used to attend the pastor stated, "when we ask forgiveness of God, he does forgive us but he never really does forget." He was "clarifying" Hebrews 10:17. The pastor said, "After all, he is God, he knows everything, it would be impossible for him to forget." I find myself angry at this minister even today and I haven't seen him in years. I believe God does forget—however in the back of my mind this minister's comments still haunt me. Please, tell me, does God forget or not? A:﻿ I think I know what the minister may have meant. Part of what he may have been trying to say might be true, but as you remember what he said, his statement is not the gospel—it is not good news. The unexplained implication of what he did say is not only problematic, it leads us away from a relationship with God rather than closer to the love and intimacy he offers us. On one hand, God is not limited to what humans dogmatically believe about him. Nothing is impossible for God (see Luke 1:37). He has all power. He can do anything he wants. That's an academic, theological consideration. However, the other side is what he reveals to us in Scripture—in terms of what he chooses to do, out of his love and grace. 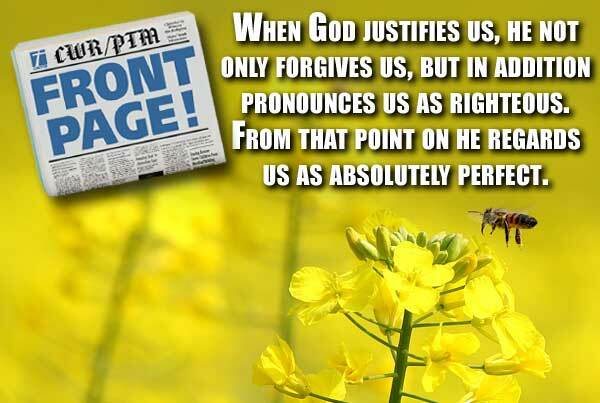 God does not need to forgive us. He is not obligated. We don't earn his grace. He loves us anyway, not because of our performance. He loves us out of his goodness. To your point. Does God forget? In one sense, he does—he chooses to set our sins aside, not because he is forgetful—not because he has senior-itis—but because he chooses not to recall them. He can recall them, but chooses not to. See Psalm 103:11-12.
but Jesus didn't show up? 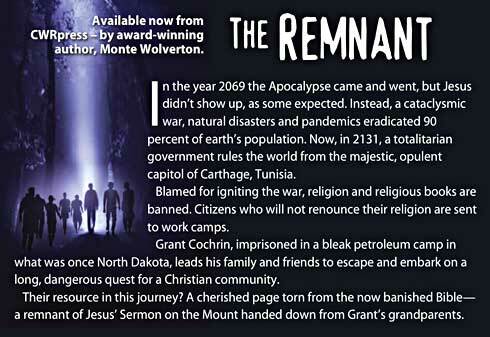 The Remnant is both inspiring and satirical—it's a physical and spiritual expedition through a dystopian world. Avoiding been-there, done-that predictable conclusions, it offers hope against the backdrop of a real, perplexing and challenging world of spiritual and physical dysfunction. In the year 2069 the Apocalypse came and went, but Jesus didn't show up. Instead, a cataclysmic war left a totalitarian government ruling the world, and it had banned all forms of religion. Those who insist on practicing religion are imprisoned in work camps around the world. An inmate in a North Dakota work camp, Grant Cochrin, hears rumors of isolated Christian communities in the lawless Wilderness. 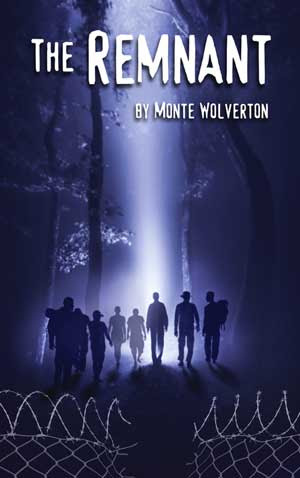 He escapes with his family and friends on a quest for a utopian Christian community. They are guided by a single Bible page—a remnant of Jesus' Sermon on the Mount handed down from Grant's grandparents. "It all begins with the religious delusion to which humans so easily fall for: the glorification of human performance." Acceptance of the belief that keeping rules, regulations and rituals determines our standing before God is the first stage that actually lays the groundwork for religious violence. Within Christendom, Christ-less religion is the belief that our performance of prescribed rules and rituals is the only way to please or appease God, and that our standing with God is dependent upon the quality of our performance. The idea that what we do enhances or improves our standing with God, so that he will love us more because of our performance (more than he would have had we not put forth the effort) is the un-grace of religion. This “philosophy” by definition involves no grace, no relationship, and therefore no Jesus. This “philosophy” is religion—rules and performance. Performance-based religion itself is the foundation that can lead to violence and bloodshed. Along with a longer initial passage in Romans (2:1-3:20) we then discussed Paul's careful development of his argument that any and all of our human efforts are insufficient to bring us into relationship with God. In the year 2069 the Apocalypse came and went, but Jesus didn't show up, as some expected. Instead, a cataclysmic war, natural disasters and pandemics eradicated 90 percent of earth's population. Now, in 2131, a totalitarian government rules the world from the majestic, opulent capitol of Carthage, Tunisia. Blamed for igniting the war, religion and religious books are banned. Citizens who will not renounce their religion are sent to work camps. Grant Cochrin, imprisoned in a bleak petroleum camp in what was once North Dakota, leads his family and friends to escape and embark on a long, dangerous quest for a Christian community. Their resource in this journey? A cherished page torn from the now banished Bible—a remnant of Jesus' Sermon on the Mount handed down from Grant's grandparents.